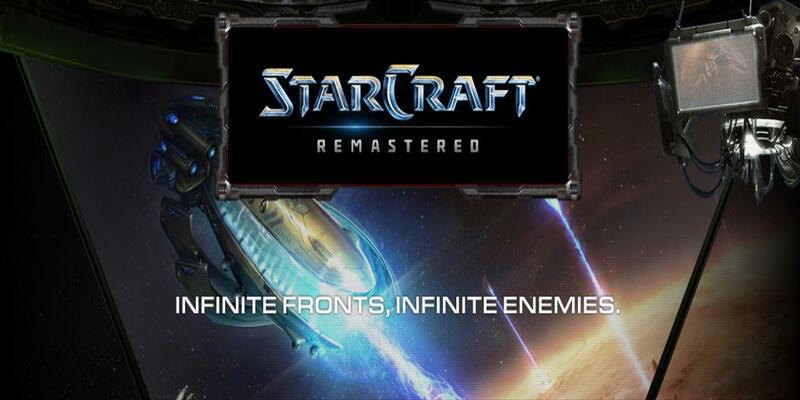 StarCraft: Remastered Coming Soon To A PC Near You | Nerd Much? StarCraft, the legends of legends for the gaming industry since the day it was released far too many years ago, is getting a remaster. Blizzard announced that the original game is getting an HD makeover and will be repackaged as StarCraft: Remastered. The remastered version will include both the original game and the Brood War expansion. It will be released this summer, and for those who already have the original game, don’t worry. The first update to the game in almost as many years as it’s been around, will allow the new version to be compatible with it in terms of save data and online play. In other words, if you buy the remastered version, all your save data will be easily transferrable. In addition to all of the above, StarCraft: Remastered will be in 4K, have revitalized audio, and will be supported by the Blizzard App (also known as Battle.net). The only thing that will not change, is the gameplay. It seems even Blizzard agrees it’s the best it can be. There will be some new narratives for the single player campaign, however, just to add a little spice to the remaster. No price has been revealed yet, but with the summer release date, I’m sure we can expect it too. Will you be playing StarCraft: Remastered? Do you think the remaster is worth it? Let us know in the comments below!